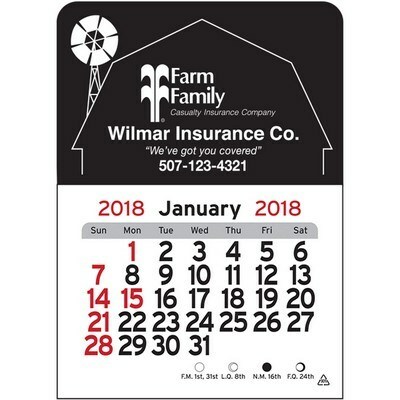 These compact and small vinyl calendars feature adhesive backing for easy peel off and hanging. The adhesive backing provides your logo visibility all year long as it is strategically positioned and printed using the latest foil stamped imprint method along with the monthly views. This vinyl calendar features 6 vinyl color options and multiple foil color imprint colors. 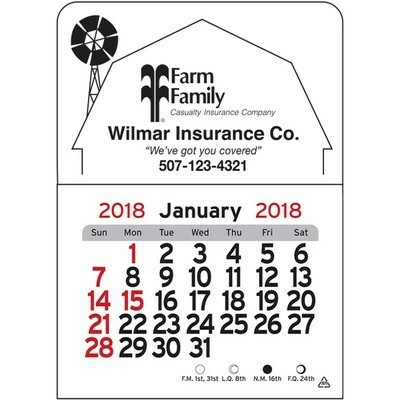 This small house design calendar comes in a standard 3" x 4 3/16" size with a standard imprint size of 1-7/8" (w) x 1-1/16" (h) Inside barn. This mini calendar is ideal for insurance agencies, financial advisors, auto garages and auto associated industries, banks, and many more. 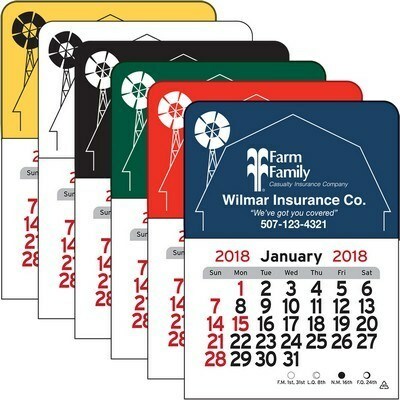 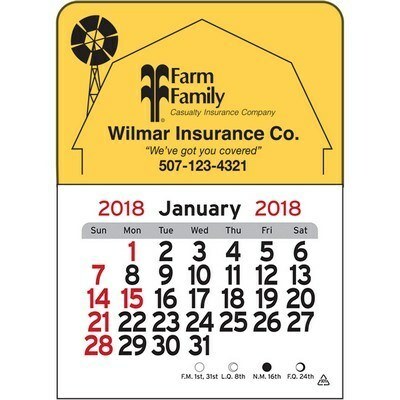 Imprint your logo and promotional info inside the barn design on this adhesive mini calendar for maximum visibility and promote your brand in a cost effective way.